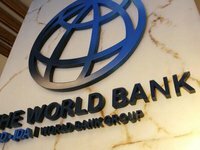 The volume of remittances to Ukraine in 2018 increased by 19% and reached a record level of $14 billion, according to a press release from the World Bank. This surge in Ukraine also reflects the revised methodology for estimating incoming remittances, as well as the growing demand for migrant workers in neighboring countries, the document says. According to the report, Ukraine is the largest recipient of remittances in the Europe and Central Asia region, in which, overall, over the past year they increased by 11%, to $59 billion. According to the World Bank's estimates, officially registered annual remittance flows to low- and middle-income countries in 2018 reached $529 billion, increasing by 9.6% from the previous record high of $483 billion in 2017. According to the NBU, last year private remittances to Ukraine, according to the balance of payments methodology, reached a record $10.89 billion, which is 17.5% more than in 2017 and is about 8.3% of GDP compared to 8.2% of GDP a year earlier.